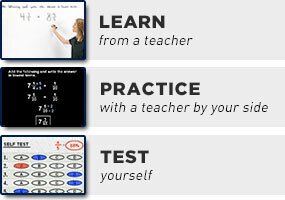 First you learned (back in grammar school) that you can add, subtract, multiply, and divide numbers. Then you learned that you can add, subtract, multiply, and divide polynomials. Now you will learn that you can also add, subtract, multiply, and divide functions. Performing these operations on functions is no more complicated than the notation itself. For instance, when they give you the formulas for two functions and tell you to find the sum, all they're telling you to do is add the two formulas. There's nothing more to this topic than that, other than perhaps some simplification of the expressions involved. Given f (x) = 3x + 2 and g(x) = 4 – 5x, find (f + g)(x), (f – g)(x), (f × g)(x), and (f / g)(x). To find the answers, all I have to do is apply the operations (plus, minus, times, and divide) that they tell me to, in the order that they tell me to. My answer is the neat listing of each of my results, clearly labelled as to which is which. Given f (x) = 2x, g(x) = x + 4, and h(x) = 5 – x3, find (f + g)(2), (h – g)(2), (f × h)(2), and (h / g)(2). If you work symbolically first, and plug in the x-value only at the end, you'll still get the same results. Either way will work. Evaluating first is usually easier, but the choice is up to you. This isn't really a functions-operations question, but something like this often arises in the functions-operations context. This looks much worse than it is, as long as I'm willing to take the time and be careful. The simplest way for me to proceed with this exercise is to work in pieces, simplifying as I go; then I'll put everything together and simplify at the end. That's pretty much all there is to "operations on functions" until you get to function composition. Don't let the notation for this topic worry you; it means nothing more than exactly what it says: add, subtract, multiply, or divide; then simplify and evaluate as necessary. Don't overthink this. It really is this simple. Oh, and that last example? They put that in there so you can "practice" stuff you'll be doing in calculus. You likely won't remember this by the time you actually get to calculus, but you'll follow a very similar process for finding something called "derivatives".